Students should come prepared to play a jazz piece including melody and improvising. Accompanist provided. Hashem Assadullahi received his Bachelors of Music Education from the University of Texas in Arlington and a Masters of Music in Jazz Studies from the University of Oregon. As a jazz saxophonist Hashem has performed music ranging from the big band repertoire of the swing era, to straight-ahead styles, to contemporary projects performing the works of Ornette Coleman, The Art Ensemble of Chicago, John Zorn, and Tim Berne. In recent years he has had the privilege to perform with Ron Miles, Ben Monder, Tatsuya Nakatani, and Motown’s The Platters. In addition to his own release “The Strange Neighbor”, Hashem has had the opportunity to record with several ensembles, appearing on the albums “Live at Jo Fed’s” with the Poisonous Birds (June 2008), “The Turning Point” with the Douglas Detrick Quintet (pending release), and “Walking Across” with Anywhen (pending release). 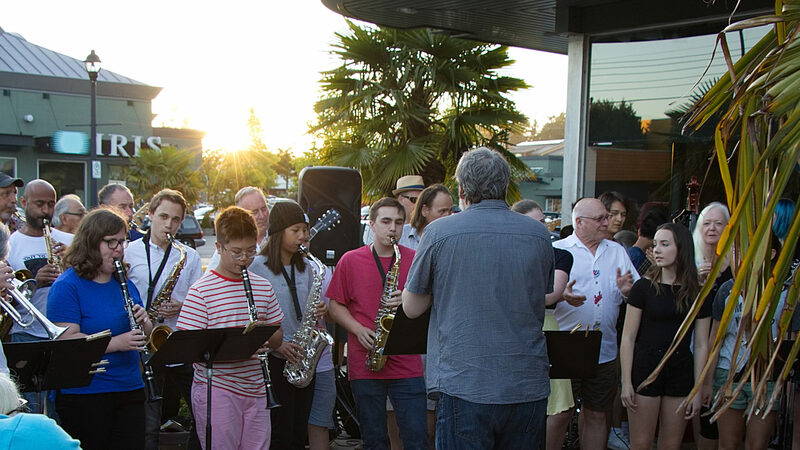 In addition to performing, Hashem has held teaching positions at various institutions including Mahidol University in Salaya, Thailand, Lane Community College, and the University of Oregon. Hashem frequently serves as a clinician and adjudicator across the United States and Southeast Asia.